The top level of football in Bulgaria has been running since 1924 though no team won the league title as the championship was abandoned. The three most successful teams all hail from the capital city Sofia; CSKA, Levski and Slavia. No team from Bulgaria has ever won the European Champions League. I had my eye on the Ludogorets shirt for some time once I saw it become available online. It's not often that a Bulgarian football shirt is for sale on a UK based retailer. There have been some opportunities to get a CSKA Sofia shirt but that particular on didn't have a sponsors on the front which I'm not a massive fan of. My three most recent Bulgarian shirts that I have added to my collection. 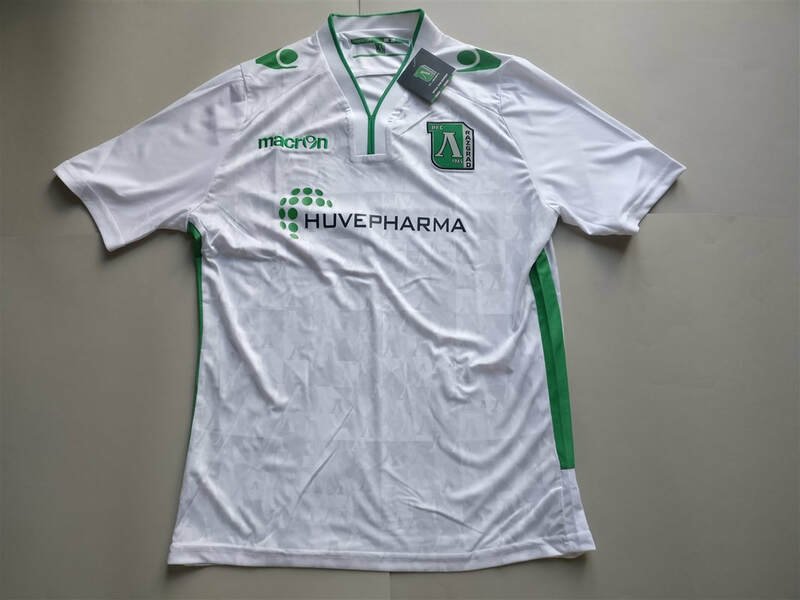 If you are looking to buy a Bulgarian club football shirt from an official club store then click the link below and it will take you to a list of clubs to choose from.